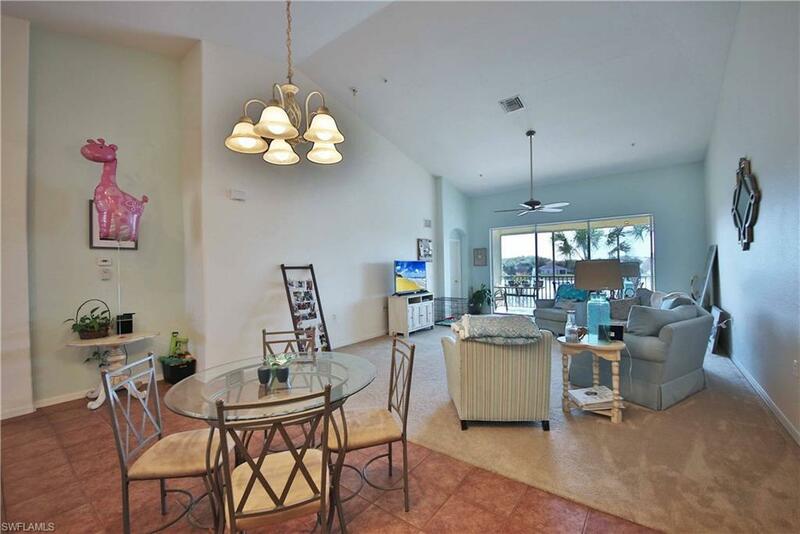 Top floor 2 plus den tranquil and peaceful LAKEFRONT condo. Amazing soaring ceilings arched doorways give character and enhances the amazing space. Light an bright split floor plan layout will astound. Master suite offers large walk in closet with separate tub and shower and raised dual vanities with cultured marble countertops. Lovely cozy sunny master bedroom. 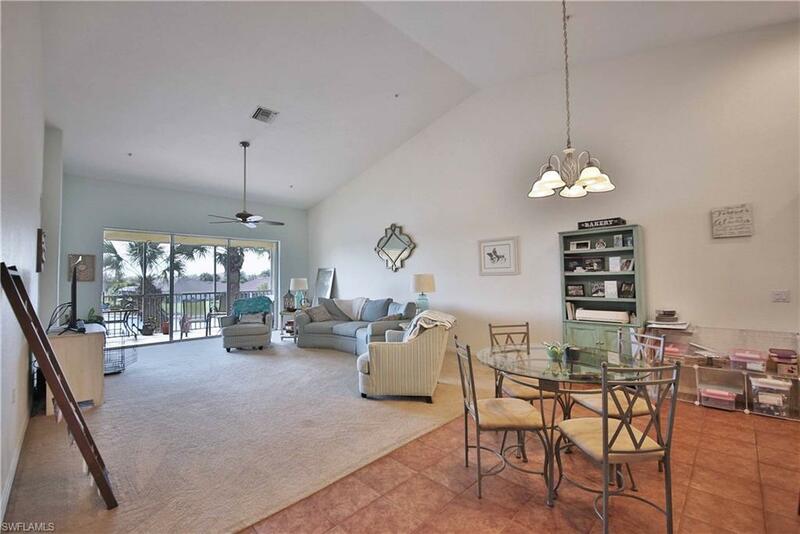 Enjoy hours sitting on your southern lanai taking in the breathtaking views offered at this address. The galley kitchen has raised breakfast bar, recessed lighting, and pantry. Great amount of storage under the stairs and single car garage always a plus. 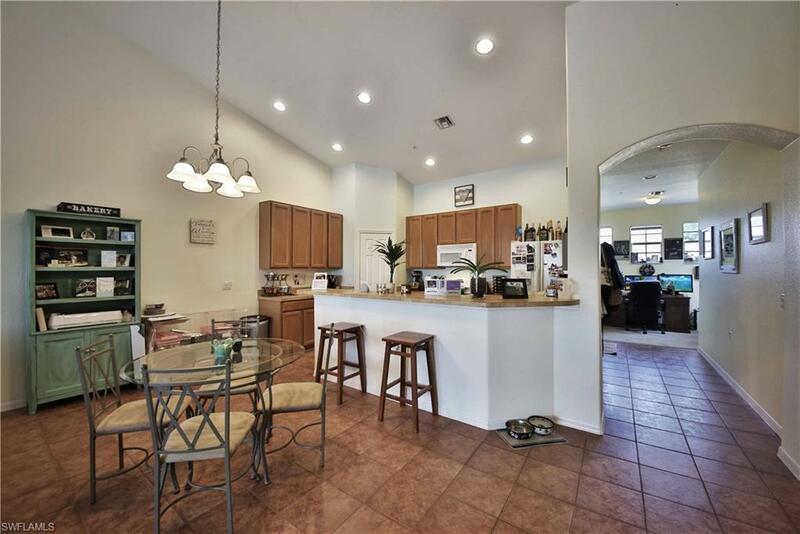 This amazing carriage home is located in a delightful gated community tucked away 10-15 min to the tropical beaches of Sanibel Island and Ft Myers Beach. 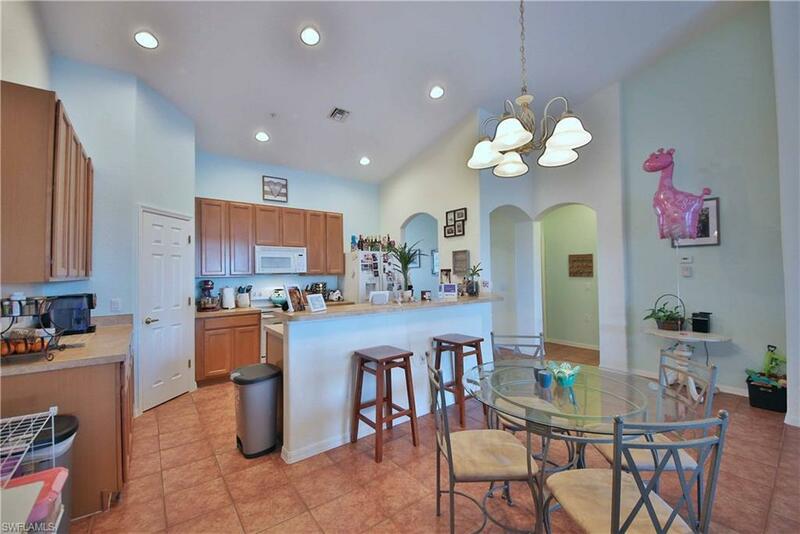 Fabulous dining and shopping/outlet mall, theaters and hospitals just within a few min. Community features, community pool, clubhouse, bocce, tennis courts, exercise room and play area. You get all this..... and still low fees. This is a " ideal" home for seasonal, year round residence or those looking for investment.